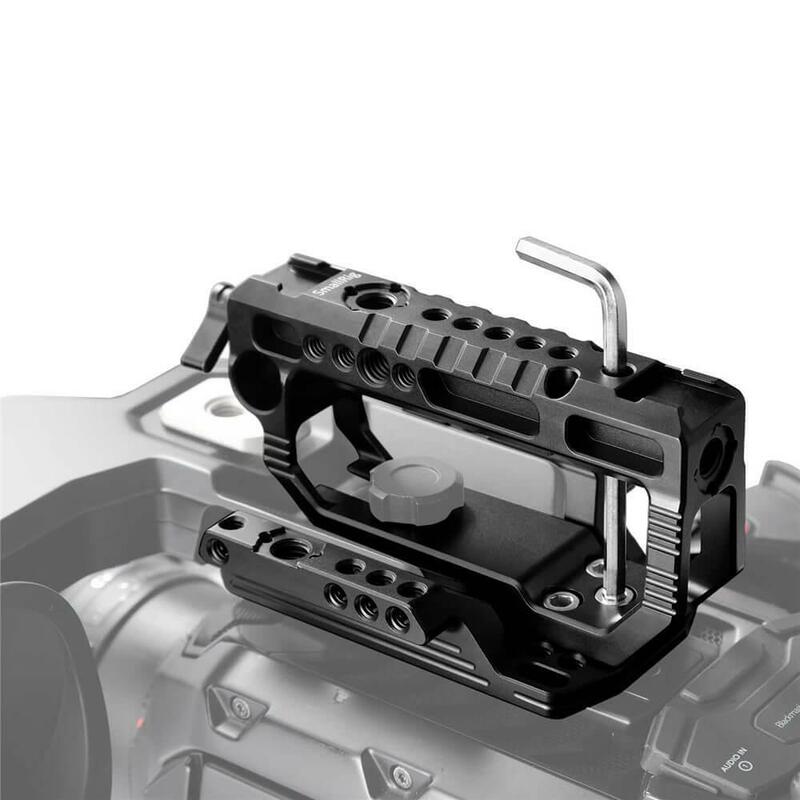 The top handle compatible with Top Plate 1958 is equipped with cold shoes, Arri locating hole, 15mm rod clamp and an array of 1/4’’ threaded holes for DIY operations. 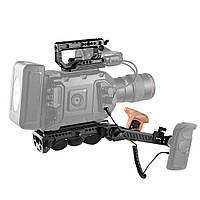 It supports handheld shooting. Top Plate 1958 connects the top of camera tightly via three 1/4’’ threaded holes. 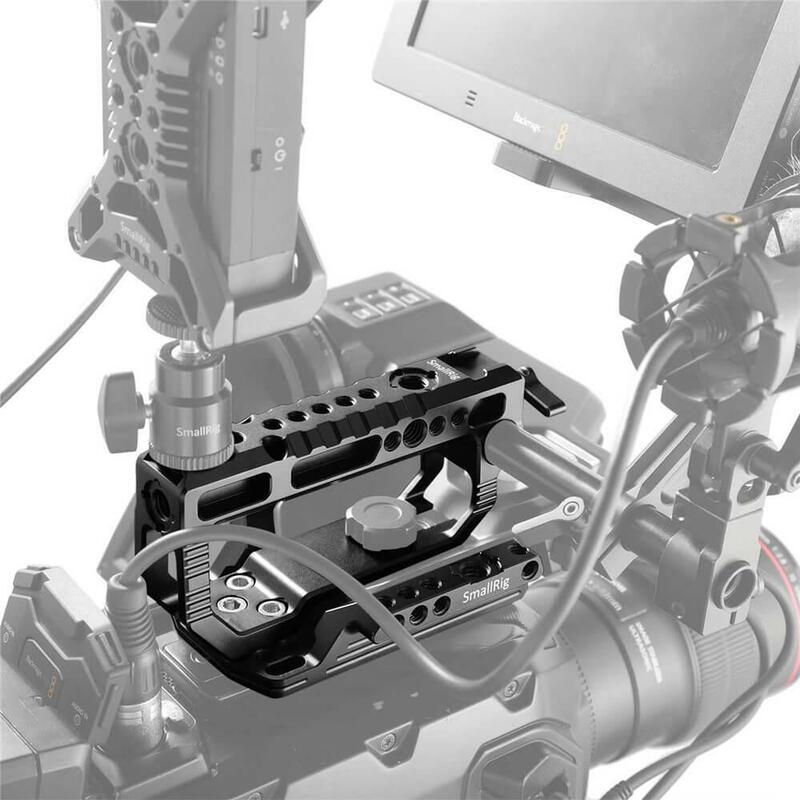 The shoulder plate enables 85mm rod height and comes with Arri rosette for Arri rosette extension arm, and it is very convenient for quick release and attachment. 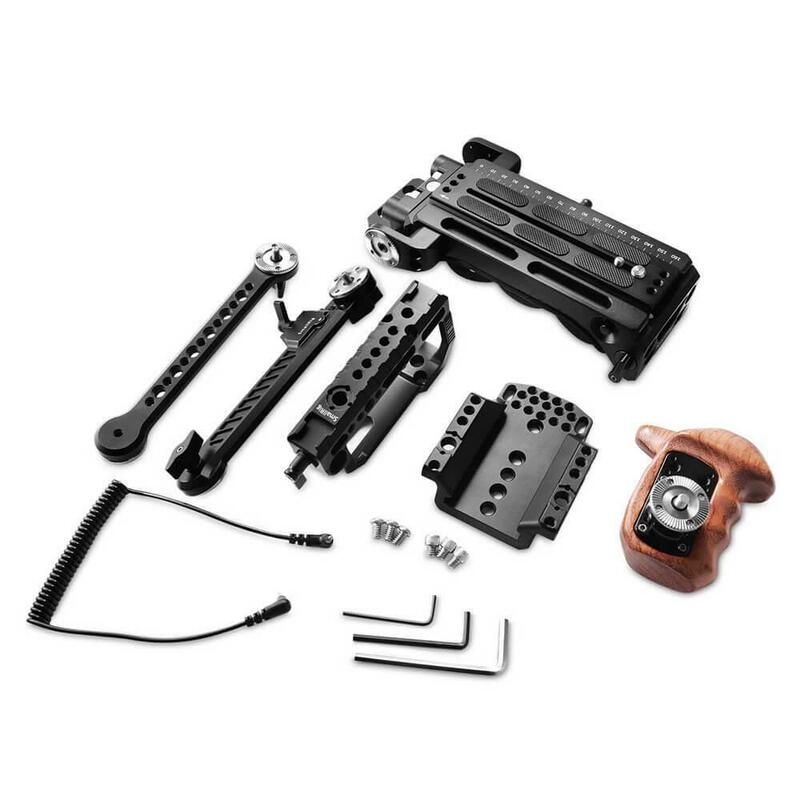 Extension Arm with Arri Rosette 1870could be extended run-and gun operation. 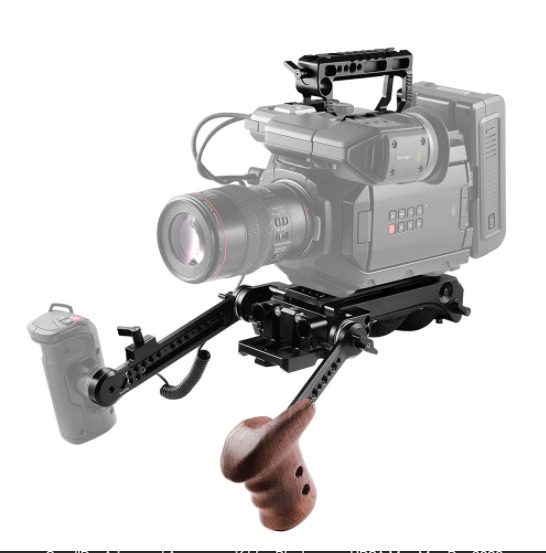 Left Side Wooden Grip 1891 which attaches to Arri Extension Arm 1807 via the rosette also provides a very comfortable experience. 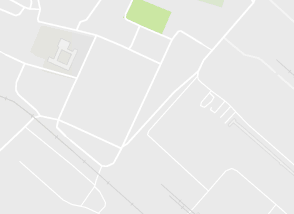 The original LANC cable could be replaced by LANC Remote Cable 1824 to relocate the hand grip. 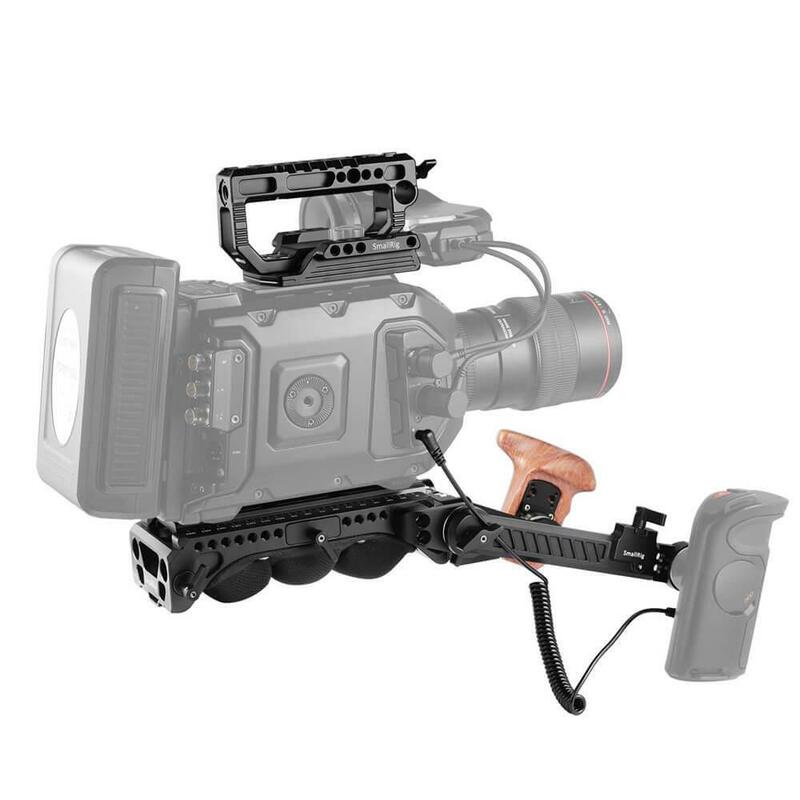 Sony VCT-14 shoulder plate, Arri extension arm and wooden grip together support run-and-gun and tripod modes.